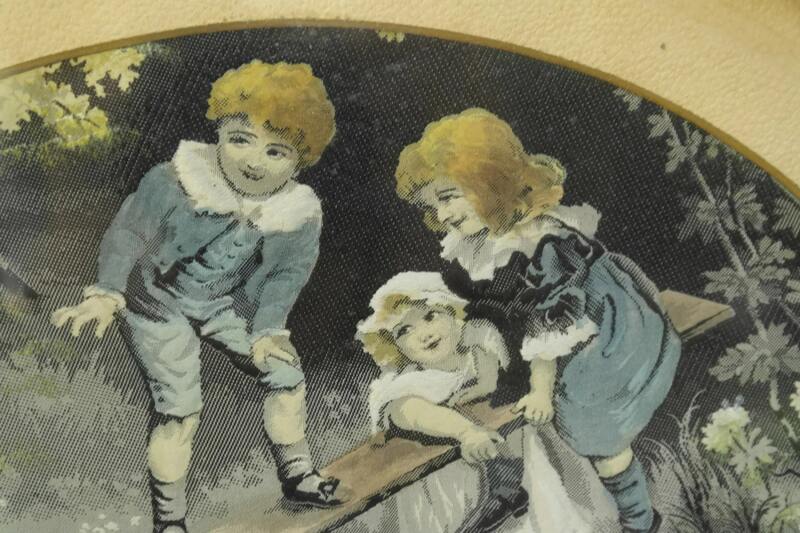 An adorable antique French silk Stevengraph by the renowned Neyret Frères Company. 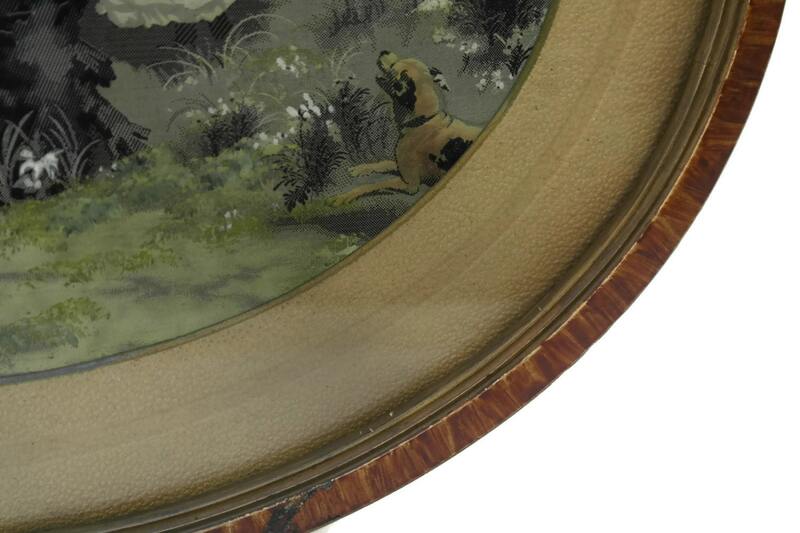 The hand painted silk art picture has been created from finely woven french silk and framed under glass in an oval wooden frame. 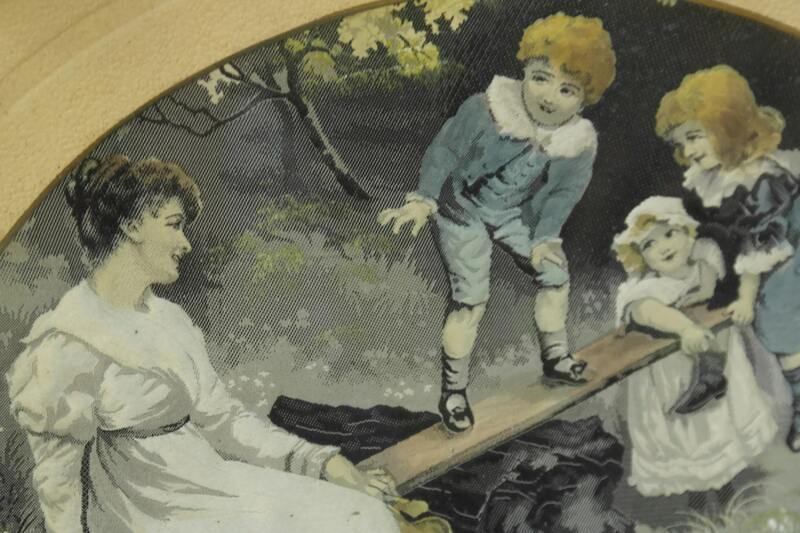 The nursery art features a portrait of a mother and her children based on an illustration by F. Morgan. The jacquard silk panel would originally have been rectangular in shape and has been cut to suit the frame. 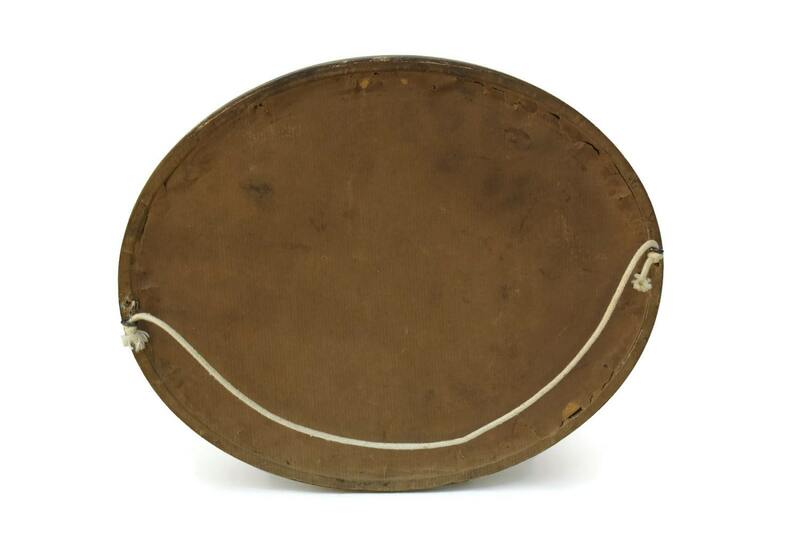 The Neyret Frères and F. Morgan woven signatures have been covered by the oval mounting board. It will make a beautiful Mother's Day gift. The framed wall art is 13" Wide x 10" Tall (32 cm x 26 cm). 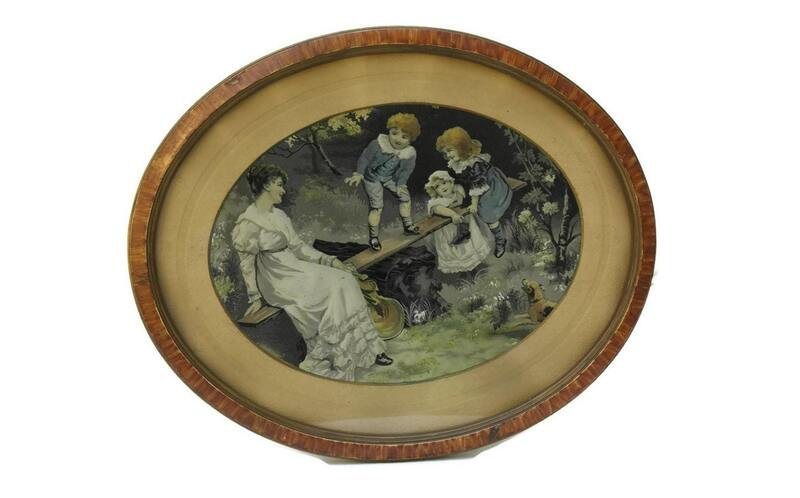 The antique Stevengraph is in good condition with age-appropriate wear including areas of patina and discoloration. There is wear to frame Please refer to the images for a more detailed visual description.